It seems we blink and Halloween is over, Autumn is all but fading and it is time once again to begin preparing for Christmas. Admittedly this can be a momentous task, especially in regards to gifting those near and dear with the perfect token of your affections. If like myself you live fairly local to Glasgow, Silverburn shopping centre I say take full advantage of the convenience of the indoor location, the endless stream of beautiful stores and of course the Silverburn PLUS app available on iTunes or Google Play - a nifty app that offers you exclusive discounts and deals. 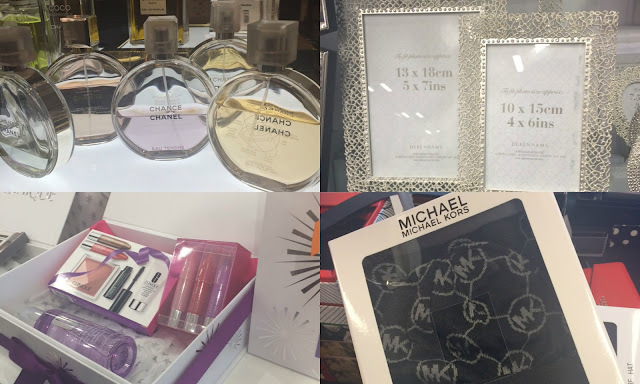 If you are looking for some festive inspiration let me share a few gift ideas that can be found at Silverburn. For the glamorous person in your life... my advice would be to head straight to Debenhams, here you will find an assortment of luxe yet fairly affordable gift ideas. Be it a beautiful photo frame, a visit to the Chanel counter for a bottle of fragrance or cologne or perhaps a gift set from one of the premium brands offered in store such as Clinique or MAC. The latter happen to offer a gift card and makeover service should your loved ones be a little fickle and prefer to pick their own gifts. 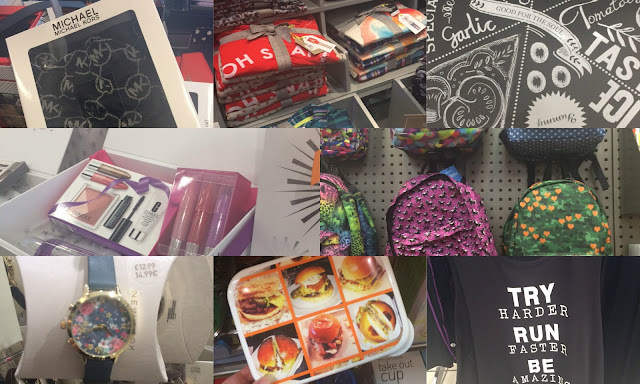 I would also recommend stopping by TK Maxx as it is here you will find premium brands such as Michael Kors but at seriously discounted prices. I can’t help but think that the Kors hat and scarf set above would go down a treat this coming festive period and as an added bonus it is perfectly unisex too. For the techie types...admittedly this is not my forte, I don't do well with technology but I don't think you can go far wrong with a new phone case. Fun, affordable, widely available and perfectfor all ages. I found a wonderful array of pretty cases in Paperchase - from glitter cases to novelty cartoon based offerings, all of which were under £20. You can also find Skinnydip phone cases within Topshop too (a little off tangent but it may be helpful nonetheless, Topshop has one of the best stocked make-up counters I have encountered in a long while). If phone cases aren't quite what you had in mind, may I recommend a beautiful watch from NewLook? Yes really, some of the prettiest watches I have laid eyes on happen to be found in New Look and all for less than £20! I'd also like to point out the cuter-than-a-button pink Breville Blender set I found in Debenhams, ideal for whipping up smoothies and cupcakes. Let's face it everything looks better in pink. For the home creature... what could be more blissful than a night at home curled up in new pyjamas and socks? In my opinion nothing. Some of the sweetest pyjamas sets and socks for that matter that I have found where purchased in Next. Think soft, snuggly cotton sets that fit well and wash beautifully (trust me this matters), all in utterly adorable designs. The best part is that Next pyjamas come in all sizes including gentlemen offerings and something for the kids - you could kit out the whole family!I personally think no Christmas day is complete without at least one pair of slippers. Again withinBoots huge 3 for 2 offer they have several pairs of cute slippers that will put a smile on anyone&#039;sface. I have my eye on the adorable bunny set, complete with pom pom tail! As many will know I enjoy home fragrance (a quiet night in isn't quite complete without a beautiful candle) and as luck would have it Boots currently has a 3 for 2 on all its Yankee candle products. Now is the ideal time to stock up be it for gifts for others or as a treat to yourself. While in Boots I found a set of 12 Yankee Wax Tarts that is of course beautifully presented but ideal for those new to home fragrancing. The huge array of scents allows the recipient to find their own signature scent without the hassle of trying 12 large candles. Bliss. For the fitness fan... in a bold statement I am going to say forgo purchasing your loved on a brand new pair of sneakers and head to New Look and stock up on new fitness apparel. As you can imagine not only is each piece well designed, functional but actually pretty, it is well priced too. With cute leggings, sports bras and fun slogan t-shirts this is one gym kit that may just make working out fun! Speaking of fun fitness-related gifts, Paperchase have a wide assortment of cute and quirky water bottles and snack boxes that won't break the bank but will jazz up salads, sandwiches and all forms of lunch. 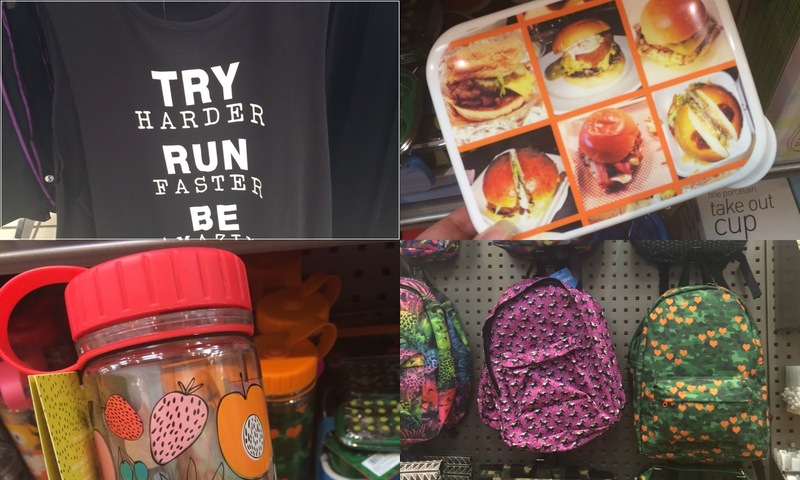 It was also here that I found a great range of sturdy yet brightly patterned rucksacks that would be ideal for any fitness fan. 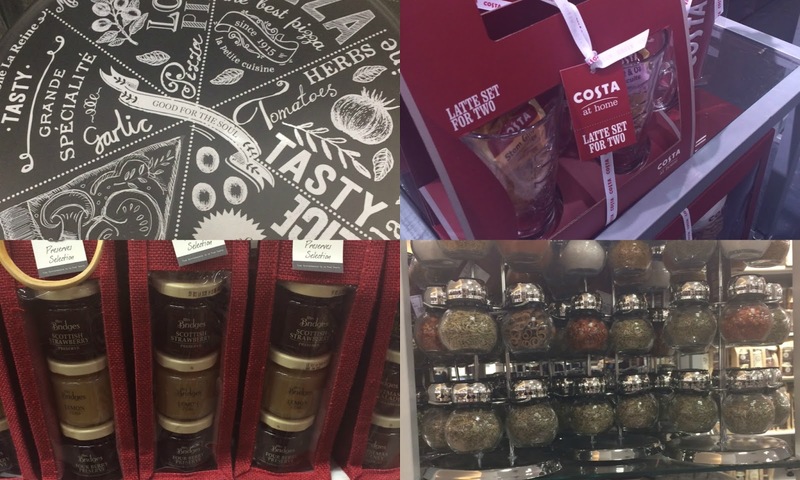 For the foodie... the only store you need to visit for the foodies in your life is Debenhams, it is here that you will find everything that they could ever wish for, be it luxury spice racks, fun and funky pizza boards or even large, sweet shop inspired jars of candy treats. I personally think that the Costa Coffee gift sets will go down a treat. I also found a novel yet chic Jamie Oliver cheese board in store which I think could be a real talking piece. If that is not quite enough, Debenhams also offers some home grown produce such as Scottish Jam and Preserve gift sets. For the teen...what teen girl could pass up the opportunity to own a large Little Miss cosmetic bag, quirky yet sturdy not to mention multi-functional too. The large pouch is ideal for a weekend getaway and could double up as a fun clutch bag too. 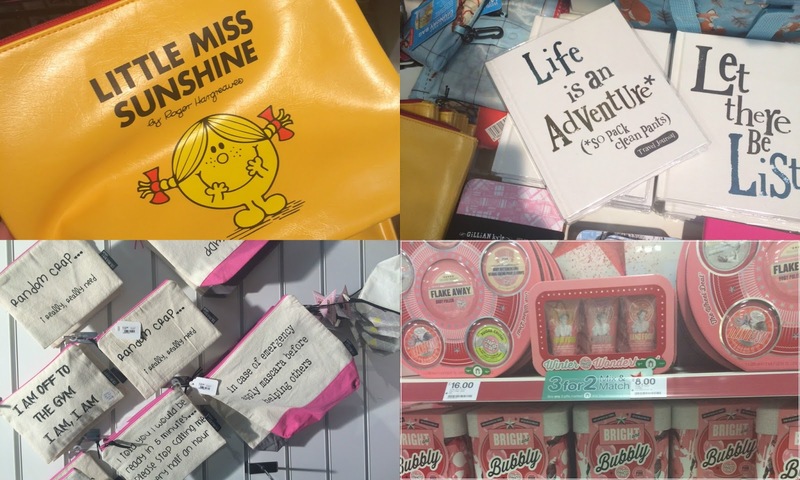 You can find this and the fun slogan cosmetic bags in store via Papyrus. It is also in such store that you will be able to purchase the "Life is an Adventure" travel journal - a well thought out memory book that will be great to look upon in years to come, be it to laugh or reflect. 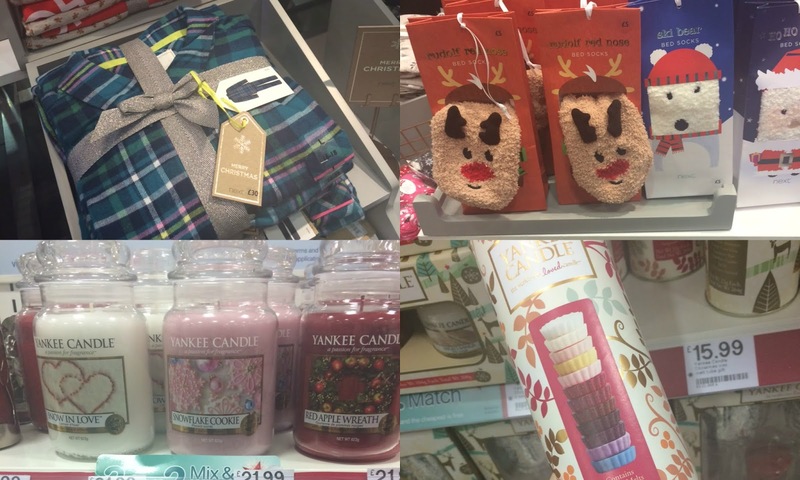 If the teen you have in mind enjoys cosmetics (and who doesn't) may I suggest heading to Boots and making the most of their 3 for 2 offer, with brands such as Soap & Glory included, as well as Jack Wills - you will be spoiled for choice. There are also some wonderful offers just for you on the Silverburn PLUS app, such as a £1.99 meal deal at McDonald’s to help you refuel during your Christmas shopping trip. So this year forget the bustle and cold of the high street, grab your phone (pre-loaded with the Silverburn PLUS app available on iTunes or Google Play of course) and head to Silverburn. Christmas shopping just became so much easier. I love your ideas though, I always find buying gifts are a total nightmare for family! Fingers crossed I can get some ideas here.